Steve Hamilton, in Kingston, N.Y., quit his day job to work on a new series of thrillers. 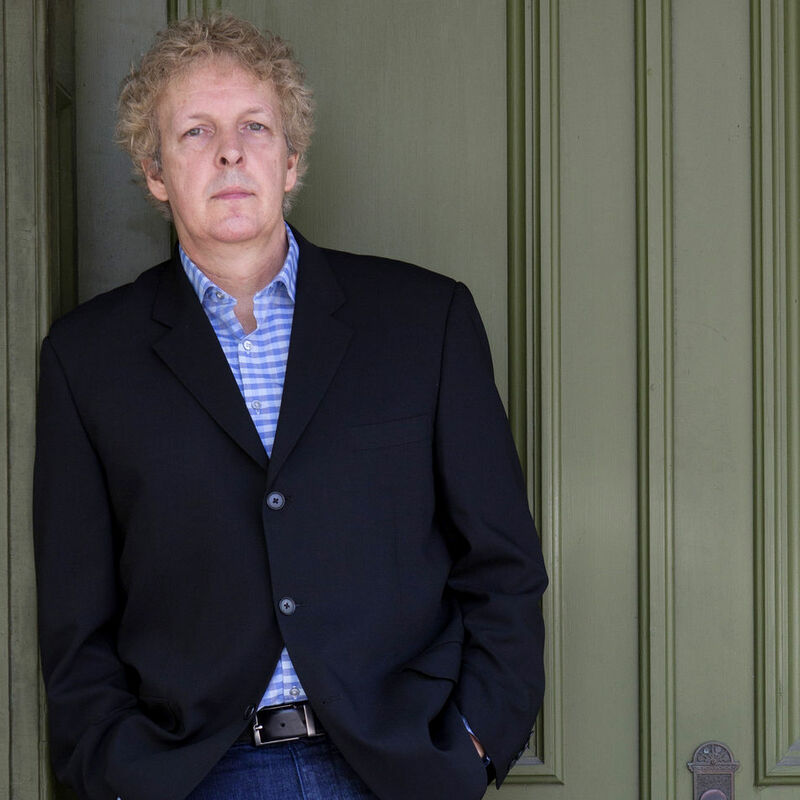 Thriller writer Steve Hamilton tends to reserve the high-stakes drama for the pages of his novels. For years, he stayed with the same agent and the same publisher. He lived in rural upstate New York, and wrote at night while working as a technical writer at IBM. Then he went rogue. When his brand-new mystery was about to go to the printer last year, he blew up his book contract in an unusual dispute over marketing and publicity and went looking for a new publisher. 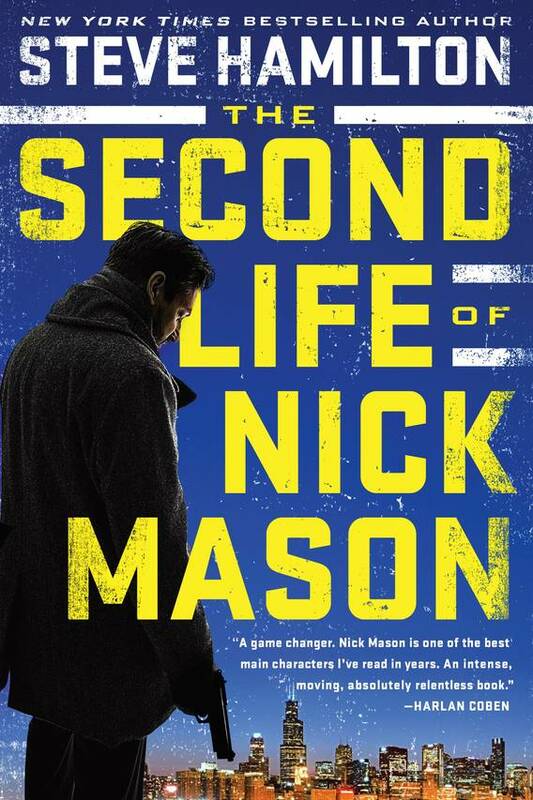 Today, that book, “The Second Life of Nick Mason,” comes out amid more fanfare than he’s ever experienced. With a new book deal and movies in the works, Mr. Hamilton is hoping to take his career to a new level. The 55-year-old author grew up around Detroit devouring the hard-boiled likes of Elmore Leonard and James Crumley. After graduating from the University of Michigan in 1983, he moved to upstate New York and went to work as a technical writer for IBM. He spent the next 32 years explaining the company’s products to customers. He joined a writer’s group and in 2000 sold his debut novel, “A Cold Day in Paradise.” It was the first of 10 in his Alex McKnight series about a former minor-league baseball player and scarred ex-cop from Detroit. The book won “best first novel” at the top mystery awards, the Edgars. Ten years later “The Lock Artist” won best novel. Mr. Hamilton continued to work at IBM, seeing his computer instructions evolve from printed manuals to digital files. “I led a double life,” the author says. “When my co-workers were on vacation, I was on a book tour,” which usually meant driving to stores in Michigan and Illinois. But after 12 books in 13 years, Mr. Hamilton, who is married with two children, hadn’t broken out nationally. “I was ‘that Michigan writer,’ ” he says. Like many authors, he blamed it on a lack of marketing and publicity support from his publisher, the Minotaur imprint of St. Martin’s Press. In 2013, as his New York literary agent prepared to retire, Mr. Hamilton signed up with Hollywood screenwriter and producer Shane Salerno, who sidelines as a literary agent. Mr. Salerno’s main book client is Don Winslow, who used to scribble novels while on stakeouts working as a private investigator. Mr. Salerno urged Mr. Hamilton to launch a new series and quit his day job. “He needed to be a full-time writer,” Mr. Salerno says. As Mr. Hamilton turned to full-time writing, what mattered most to him was launching Nick Mason with broad media coverage and advertising as well as a bigger book tour. In “The Second Life of Nick Mason,” Mr. Hamilton introduces a brand-new protagonist. Mason, a professional thief who grew up in Chicago’s Canaryville neighborhood, has served five years of a 25-year sentence in a federal prison. The story, told in urgent, unadorned prose, begins when a crime boss in the prison arranges for Mason to be freed. The catch is that in return, he must do the kingpin’s bidding. But he gets a second chance. Last summer, Mr. Hamilton handed in “The Second Life of Nick Mason” to St. Martin’s. The manuscript was different from the McKnight books, says Sara Minnich, who edits Mr. Hamilton at his new publisher, G.P. Putnam’s Sons. It was “more high-concept. The stakes are higher, the canvas broader, the action more relentless and intense.” Mr. Salerno began to assemble a blurb brigade including Lee Child, Michael Connelyy, Harlan Coben and Mr. Winslow. About two months before the publication date, Mr. Hamilton and his agent say they asked for a marketing and publicity plan. They were shocked. “It was a page of nothing,” Mr. Hamilton says, well short of what had been promised. Advance copies of the book for the media promised an initial print run of 75,000 as well as a national marketing campaign. Mr. Hamilton called that a “complete and total lie.” The two sides argued for a month but St. Martin’s didn’t satisfy the author and his agent. So they decided to yank the book and buy back the contract. For “The Second Life of Nick Mason,” Mr. Hamilton is embarking on a 28-city tour, starting with old Michigan haunts, then going to the West Coast, Chicago and New York. A Nick Mason film is in the works at Lionsgate with Richard Wenk, who wrote “The Equalizer." The producer is Nina Jacobson, a former Disney studio chief who later produced “The Hunger Games" movies. A film of “The Lock Artist” also is in development. This fall, Mr. Hamilton will deliver the second “Mason” book, which will be published in the spring. He also has finished a new Alex McKnight novel. He has mapped out a “bible” for six more Nick Mason books, including a plan for Mason and McKnight to meet up.